Local residents came out in droves to a meeting hosted by the Town of Oyster Bay at Hicksville High School to make their voices heard on the proposed revitalization of the Hicksville downtown area, a project that has been talked about for decades but has seriously gained traction in recent years. Initially scheduled to be held in the cafeteria, turnout was so massive that a last-second decision was made to transplant the meeting to the gymnasium down the hall. The main thrust of the meeting was centered on zoning changes that Oyster Bay planners are proposing in order to give the area around the train station a much needed refreshing. The revitalization project started in 2010, after many studies had been conducted over the preceding years. 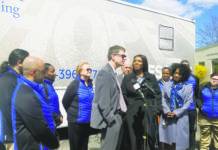 It was a collaborative effort amongst community members, the Chamber of Commerce, the Hicksville Community Council, and a number of civic organizations and Vision Long Island, in cooperation with the Town of Oyster Bay and Nassau County. The ultimate goal of the project is getting the Hicksville Long Island Rail Road (LIRR) station area redeveloped and revitalized, according to Hicksville Chamber of Commerce President Lionel J. Chitty. 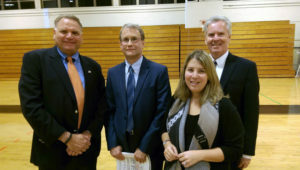 Participating at the Hicksville Downtown Revitalization meeting were, from left: Town of Oyster Bay (TOB) Councilman Anthony D. Macagnone; John Ellsworth, Director of Planning and Environmental Services for Cashin, Spinelli, & Ferretti; TOB Councilwoman Rebecca M. Alesia; and TOB Deputy Commissioner of the Department of Economic Development James McCaffrey. 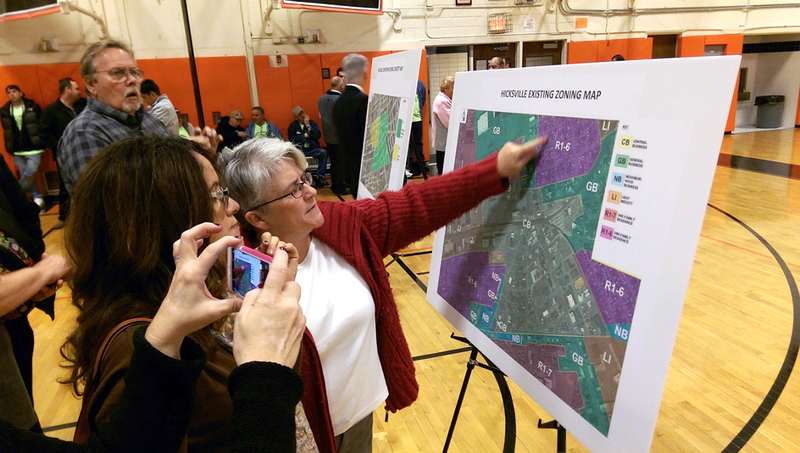 Town of Oyster Bay Councilwoman Rebecca M. Alesia ran the meeting, and noted that getting input from the people who most stand to be affected by any changes to Hicksville’s downtown was important before proceeding with revitalization efforts. 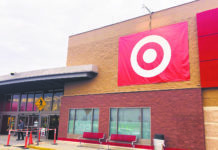 The plan presented to the public that evening consisted of two different zoning districts to replace the central business district, according to John Ellsworth, director of Planning and Environmental Services for Cashin Spinelli & Ferretti, a construction consulting firm hired by Oyster Bay. Residents expressed concerns about traffic and safety issues, but the general consensus appeared to be open-mindedness towards the changes needed to drive the revitalization project forward. Ellsworth noted that the town went through this process already, and it was made clear that local residents want something to happen; however, he said, there are still a lot of details to be worked out before that can happen, including consideration of New York Governor Andrew Cuomo’s Third Track project, a proposed addition to the LIRR that is slated to run from Floral Park to Hicksville. Janet Ambinder of Hicksville said that she remains undecided on the revitalization project. 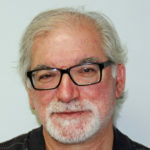 Mike Estes, who lives near the downtown area, remained steadfastly against the project even after the presentation by the Town of Oyster Bay. We have too much traffic already in Hicksville. Great intention but not good idea especially with the redevelopment of the Sears property down the road. Ugh!